It can be easy to visit the alluring pyramids and the hot desert of Egypt with your mobile device. 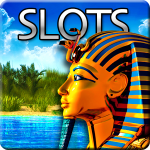 All you need to do play the Treasure Nile video slot app and you are living like a pharaoh. All the treasures of ancient Egypt are waiting for you claim them! Treasure Nile is the 5 reel, 9 pay line video slot game that takes you on a fun trip down the mysterious and mighty Nile! 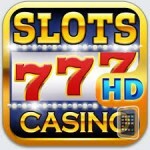 This slot app includes incredible sounds that set the mood, as well as impressive graphics. Symbols like the Ancient Scroll, Cobra, Ankh, Pharaoh, and even the Sphinx will take you back in time as you build up your kingdom. Normally, you may not want to see beetles on your mobile screen, but in Treasure Nile, the Scarab (a species of beetle that the ancient Egyptians worshipped) is the scatter symbol. With three or more of the Scarab scatter symbols anywhere on the 5 reels, you’ll win yourself a luxurious payout! These scatter symbols don’t have to just appear on your pay line, they can show up anywhere on the slot screen and you are ruling the game. The Pyramid symbols are your wilds in Treasure Nile, and they are not mirages. The Pyramid wilds can substitute for any of the symbols on the board to com-plete your winning combination. 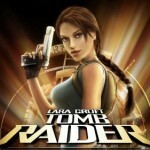 Land five of the Pyramid symbols, and you’ve earned yourself a hefty payout! To be as rich as a pharaoh, you need to rule the game like a pharaoh. 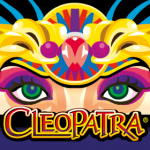 Place your wager to the maxi-mum bet, spin and land five of the Treasure Nile Pharaoh symbols on the ninth pay line, and you win the massive, progressive jackpot. 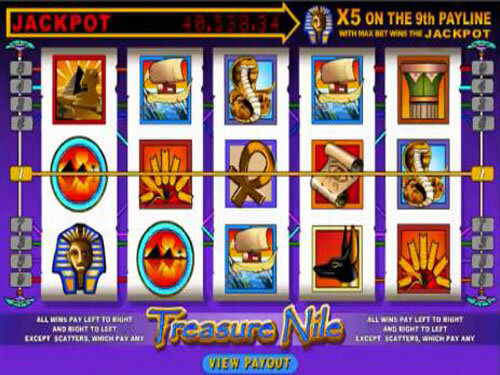 You read that correctly, it is a progressive jackpot, which means it continues to grow every time someone plays the Treasure Nile slot app until you strike the five Pharaohs. That’s a load of winnings bigger than the Nile itself! 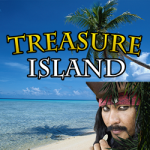 Explore the Treasure Nile video slot app today and climb the pyramid of riches!